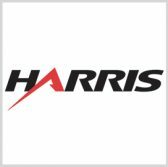 Harris has obtained Type-1 certification from the National Security Agency for a handheld networking radio technology the company designed to help military users transmit data and voice communications. NSA approved the AN/PRC-163 radio to deliver information up to the Top Secret classification level and full-motion videos for intelligence, surveillance and reconnaissance missions, Harris said Tuesday. The small form factor device is built to function in harsh environments and address multimission tactical communications requirements. Dana Mehnert, president of Harris’ communication systems business, said the handheld radio works to deliver data through very-high frequency and ultra-high frequency channels, satellite communications systems and mobile ad-hoc networks.